Chateau d’Esclans/Whispering Angel As a negociant and vinificateur (winery), Caves d’esclans identifies vineyards, grapes and wines from Château d’Esclans as well as local growers to make what has reputedly become the world’s greatest rosé. Located on an exceptional site, Chateau d’Esclans is found on an exceptional site, on elevated land near the Gorges de Pennafort, twenty five kilometres north west of the ancient Roman city of Freius on the Mediterranean coast. We’re exceptionally excited to be bringing the Whispering Angel brand to such a prestigious regatta. Grand Banks Yachts: Accomplished America’s Cup sailor and record holder for the most Sydney-Hobart line honors, Palm Beach Motor Yachts founder Mark Richards is excited to have his company as an official sponsor of the 12 Metre Worlds. In 1995, Mark launched his boatbuilding business in Palm Beach, New South Wales, Australia, embracing a single philosophy that he continues to employ today: Provide the customer with a product that’s as close to perfection as humanly possible. Mark’s team graduated from building high-tech sailing yachts to power yachts. Today the company builds a 42, 45, 50, 52, 55, 65, and now the 70. In 2014, Palm Beach Motor Yachts was purchased by Grand Banks Yachts, Ltd. and Mark was appointed CEO for both entities. Grand Banks Yachts Limited has factory based sales offices in North America, Europe, New Zealand and Australia. Gurney’s Newport Resort: Situated on Goat Island and surrounded by Narragansett Bay, Gurney’s Newport Resort & Marina offers the seclusion of a private island yet is just a jaunt from the shops and eateries of downtown Newport. With 257 guest-rooms and more event space than any other property in Newport, Gurney’s Newport Resort & Marina is a popular destination for all sorts of stylish business and social gatherings, as well as truly memorable weddings. The expansive grounds offer 360-degree water views, providing an ideal setting for our fine restaurant overlooking Newport Harbor, lounge with wraparound deck, full-service spa, and outdoor saltwater pool. MJM Yachts: Founded by J Boats’ Bob Johnstone in 2002, MJM Yachts’ 300+ boats are the most technologically advanced powerboats on the market. MJMs are built like racing sailboats of epoxy composite, stronger, lighter, with better length-to-beam ratios and lower VCGs for offshore stability. MJMs are certified at the highest of ISO categories for seaworthiness. Choose between Volvo IPS inboards or Mercury Verado outboards. The Zurn-designed hulls of the MJM 35z, 40z, 43z, 50z and NEW 53z are a joy to drive with fingertip control, comfortably cruise at 35 knots and have Seakeeper ‘no-roll’ gyro-stabilizers to keep a smile on everyone’s face. Solo docking ease with Joystick, a Skyhook or DPS for hovering and flush deck seating for up to 20 friends to spectate. 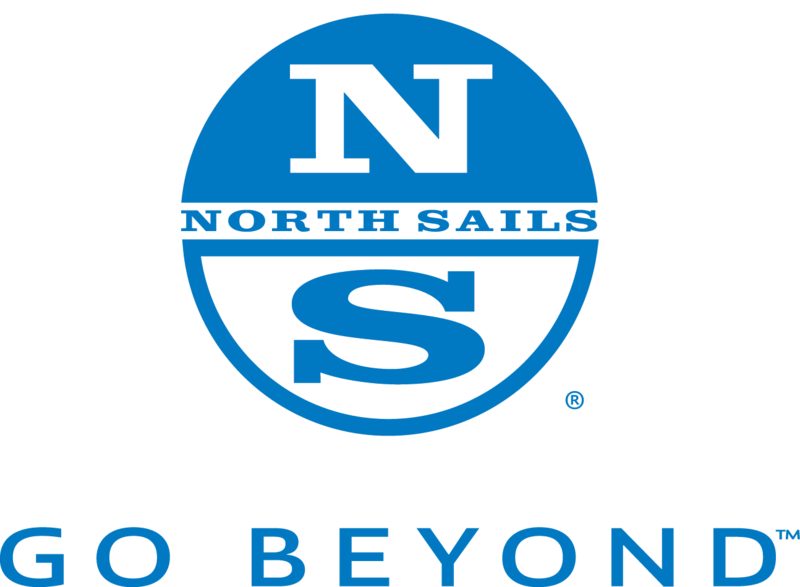 North Sails, the largest division of the North Technology Group, is the world leader in sailmaking technology. North Sails holds the patent for 3Di, a unique composite construction process that produces high performance sails that approach the shape holding of a rigid foil. North Sails is the sailmaker of choice on the majority of America’s Cup, Grand Prix, ocean race boats and Superyachts. North Sails offers a wide range of performance 3D and panelled sails for cruising sailors and is the world’s leading sailmaker for one-design classes with more National, World and Olympic Class victories than all other sailmakers combined. Bacardi Limited is the largest privately held spirits company in the world. They produce and market a variety of internationally recognized premium spirits. Family-owned Bacardi has a presence in more than 170 markets worldwide including the United States, Spain, France, the United Kingdom, Mexico, Germany, Italy, China, Brazil and Russia. The Bacardi brand portfolio includes more than 200 brands and labels including BACARDÍ® rum, the world’s best-selling and most-awarded rum; GREY GOOSE® vodka, the world’s leading super-premium vodka; PATRÓN® tequila, the world’s highest-quality ultra-premium tequila; DEWAR’S® Blended Scotch whisky, the world’s most awarded blended Scotch and the number-one selling premium blended Scotch whisky in the United States; BOMBAY SAPPHIRE® gin, the top-valued premium gin in the world; MARTINI® vermouth and sparkling wines, the world’s leading vermouth and the world’s favorite Italian sparkling wines; CAZADORES® 100% blue agave tequila, one of the most popular premium tequilas in Mexico and the United States. Harborside Marina and Yachts Sales is a premier location on the Connecticut coast for yacht sales as well as service. We offer the personal benefits of a small family run business with the distinction of a bespoke marine dealership. Our main facility is centrally located in Clinton, CT and offers dockage, quick launch, indoor showrooms, service department and much more. Clinton offers a quintessentially New England setting with tons to do and is conveniently located between both Boston and NYC and is a quick hop over to Long Island. Harborside Marina and Yacht Sales is proud to sell Chris Craft, Sea Hunt, and Bennington boats along with a collection of quality brokerage boats. Once you’re a part of the Harborside family, you’ll be coming back for years to come! Helly Hansen Newport, is the oldest Helly Hansen licensed store in North America, and has become a worldwide distributor of the finest boating, winter sports, and rainwear gear available. They have provided solutions to the movie industry, government agencies, large and small corporations, teams and clubs, private boats and other groups. Helly Hansen Newport has outfitted crews from the America’s Cup, the Volvo Ocean Race, the Newport to Bermuda Race, as well as many professional skiers and riders. Helly Hansen and Bigweathergear would like to provide you with the right solution for your outdoor needs. Sevenstar Yacht Transport is the world’s leading provider of yacht shipping services, with a global network of destinations and a fleet of over 120 independent vessels. The company is headquartered in Amsterdam, The Netherlands, and runs a worldwide network with offices. Dedicated partner DYT Yacht Transport specialises in float-on, float-off yacht transport, utilizing two semi-submersible vessels, creating a perfect fit with Sevenstar’s lift-on, lift-off yacht transport specialty. We are Sevenstar. We make the world smaller. Stella Artois, is proud to be the official beer of the Twelve Metre World Championship. Our beer is brewed to 4.8% ABV and has a pleasantly distinct, crisp and slightly bitter taste. Stella Artois should be perfectly served in the Chalice, designed to deliver a superior beer experience. Stella Artois was originally brewed in Leuven, Belgium as a Christmas beer and has grown to become a global brand. “Stella,” Latin for star, refers to the brightly shining Christmas Star. “Artois” acknowledges Sebastian Artois, the master brewer and owner of the brewery. Seamen’s Church Institute’s mission is to protect, preserve and enhance the maritime culture of Newport and Narragansett Bay by providing education, hospitality and safe haven for those who work, live and play on or by the sea.